We just crossed the border from South Africa over to Namibia. I am over the moon with excitement for what this trip through the Namibian desert will bring. 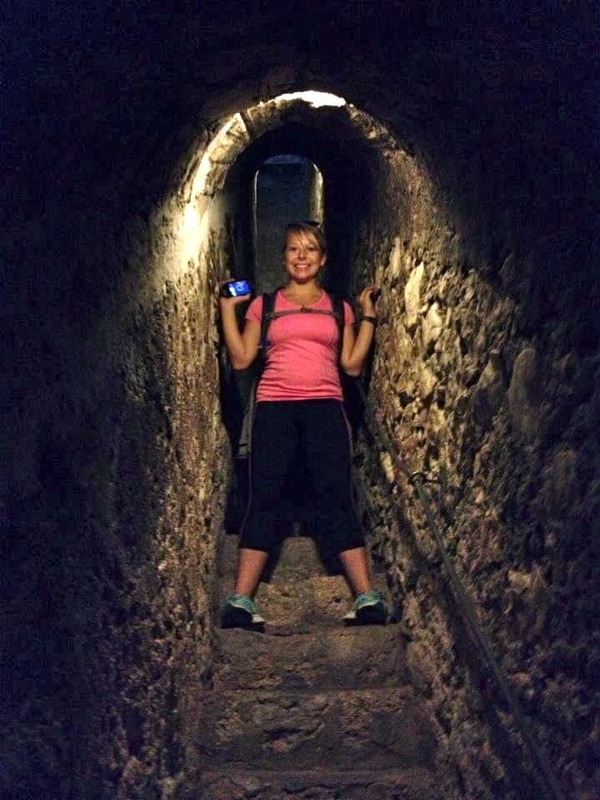 However, it is also a milestone for me because I have now set foot in and traveled through 50 countries! 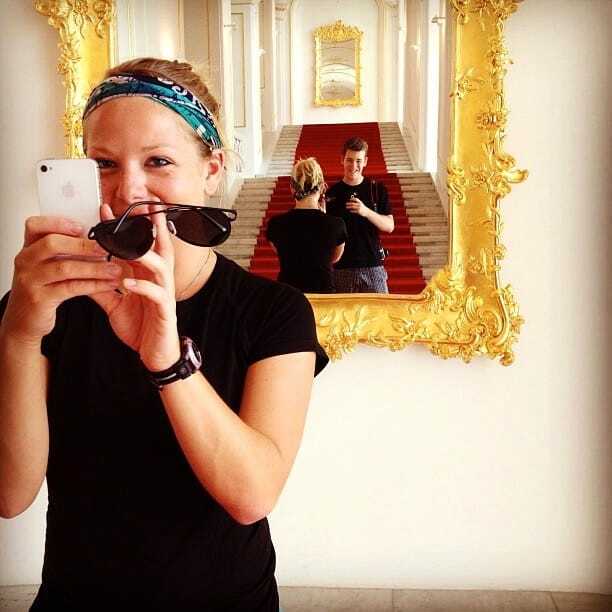 I know that numbers don’t matter and many travelers choose not to “count countries”, but I have always found that setting a goal pushes me to travel the world. Long ago, I told myself I would see the world. Having traveled to 50 countries I have now been in more than 25% of the world’s countries. I thought it would be fun for me to gather and share with you some of my highlights from the first 50 in alphabetical order. I want to travel the world. So I do. Oh boy! I could have spent a hell of a lot longer in Albania. 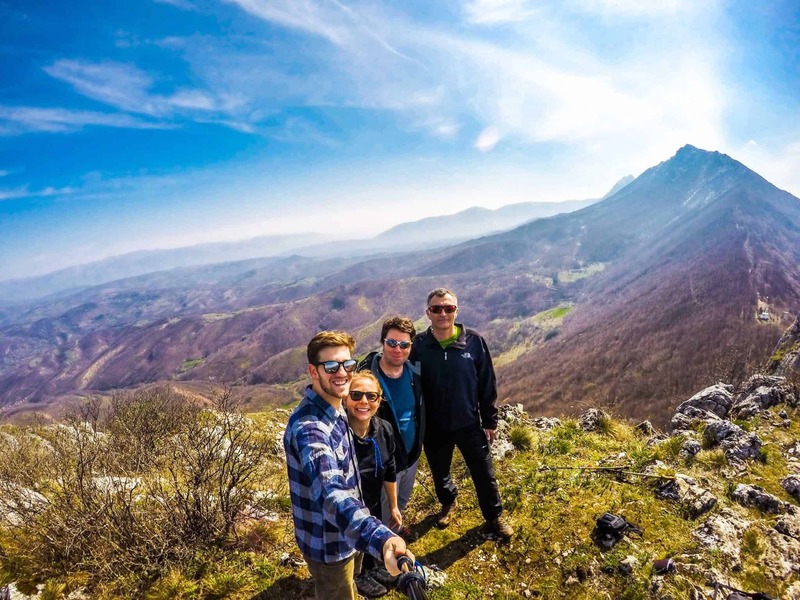 The Balkan country is one of the least traveled in Europe and one of my favorites in Europe. Even though it is cheap – people are friendly and the scenary is beautiful. Australia will forever hold a special place in my heart as it is where I started to travel the world. 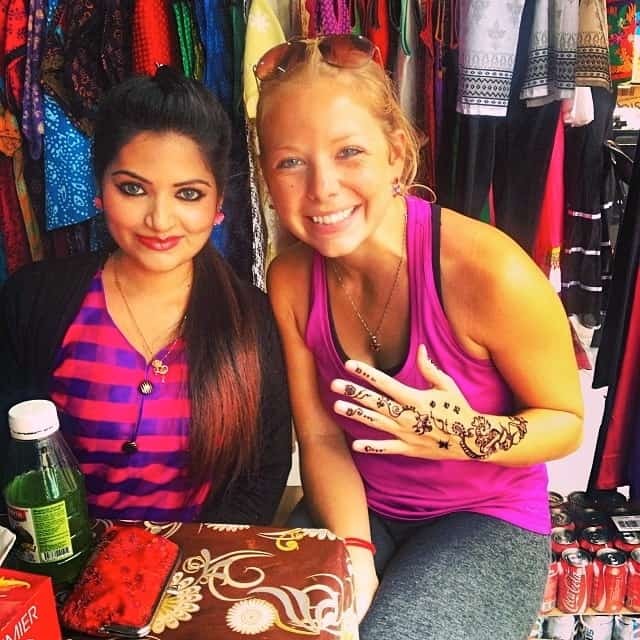 It was my first real experience abroad and was when I realized that I wanted to travel the world. This photo was taken when 20 study abroad students from around the world rented 4×4’s and drove the east coast of Australia. Cam and I just had to drive on the autobahn when we were in Germany. We rented a Mercedes at the ridiculous price of €100 a day and drove into the Bavarian Alps and Austria. Only to spend the night in our car because we blew our budget on the rental. Am I upset that this is the only photo I took in Belgium? Well, I guess it shows where my priorities were that week. 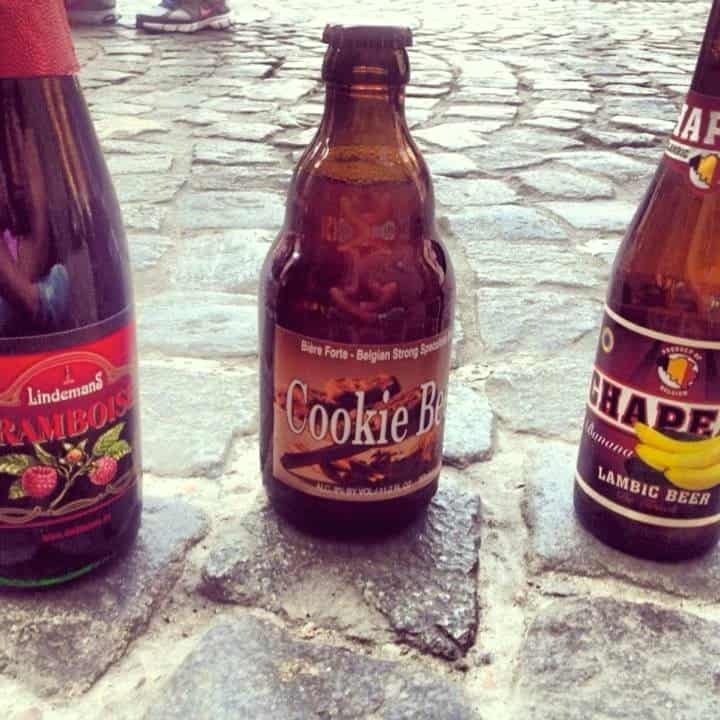 Yes, I spent most of my days in Brussels and Bruges drinking the wonderful Belgium beer. I went to Belize when I was still in highschool on a short trip. I was pretty into black and white photography with my dad’s old film camera. 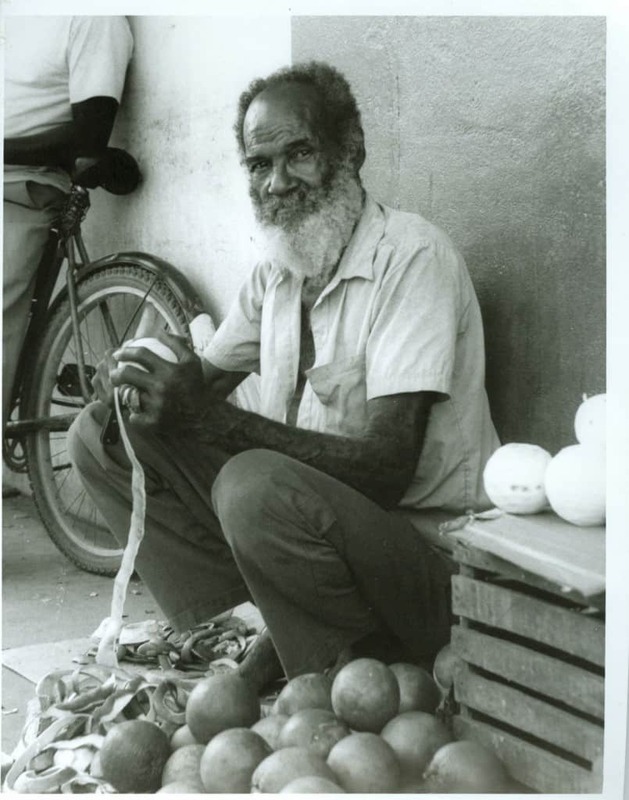 We were wandering through the streets and I saw this man peeling vegetables. I asked him if I could take a photo to which he gave a nod. What resulted was my favorite film print I have ever taken! When people ask me where they should go in Europe, I always tell them to go to Bosnia. The country suffered a terrible civil war in my lifetime and still bares the battle scars. Traveling here is an eye opener to the Balkan war. But asides from that, it is cheap, beautiful, and has an amazing capital city! I was going through a whole “no taking photos thing” during my time in Bulgaria. Yes, I’m a little upset about it looking back now. What can I do? Instead, I’ve decided to share a photo from the long and miserable train ride from Brasov, Romania to Varna, Bulgaria. The train took 16 hours and we got held up at the border because they didn’t trust our passports, resulting in a night sleeping on the benches of a run down Bulgarian train station. 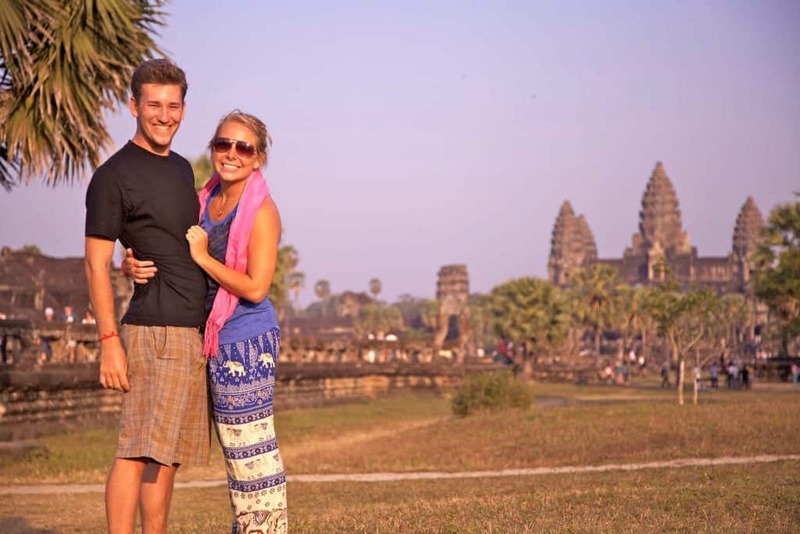 Besides getting food poisoning on Koh Rong Island, Cam and I absolutely loved traveling through Cambodia. We had a fantastic day at the Angor Wat ruins – a site that needs much more time to be discovered. I’ve spent about two months of my life in Croatia alone, and still can’t wait to go back. This photo was taken in Rovinj, which is a city in the beautiful region of Istria. 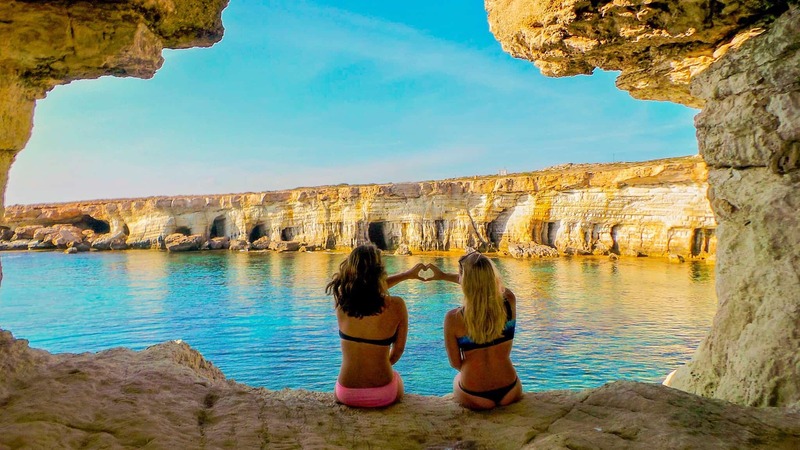 One of our best days in Cyprus was spent cliff jumping in Cape Greko. From this exact spot pictured you can take the 10-meter plunge right into the Mediterranean. It’s definitely a thrill. Prague is one of the most popular stops on any Eurotrip. So naturally, we couldn’t miss the city. 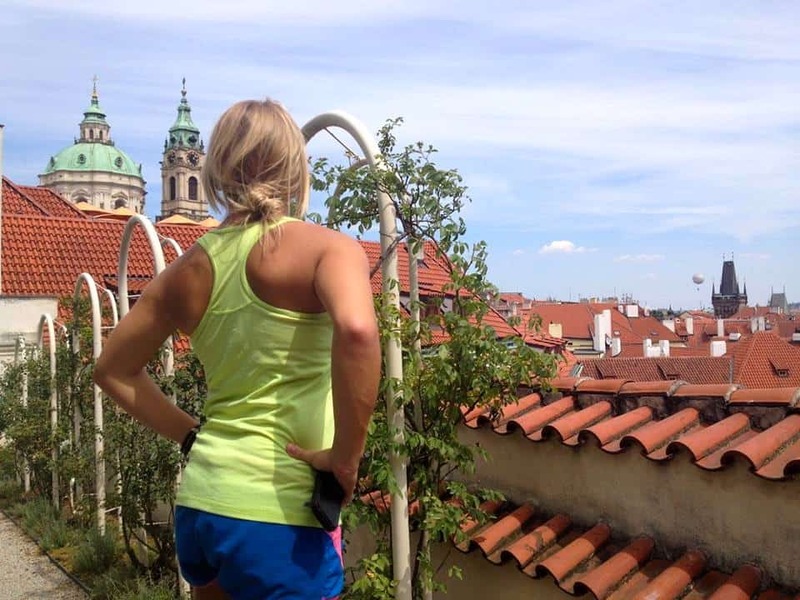 We spent our days eating Trdelnik and checking out the city from the roofs! It was hot and we were active, good thing I had a good Europe packing list. 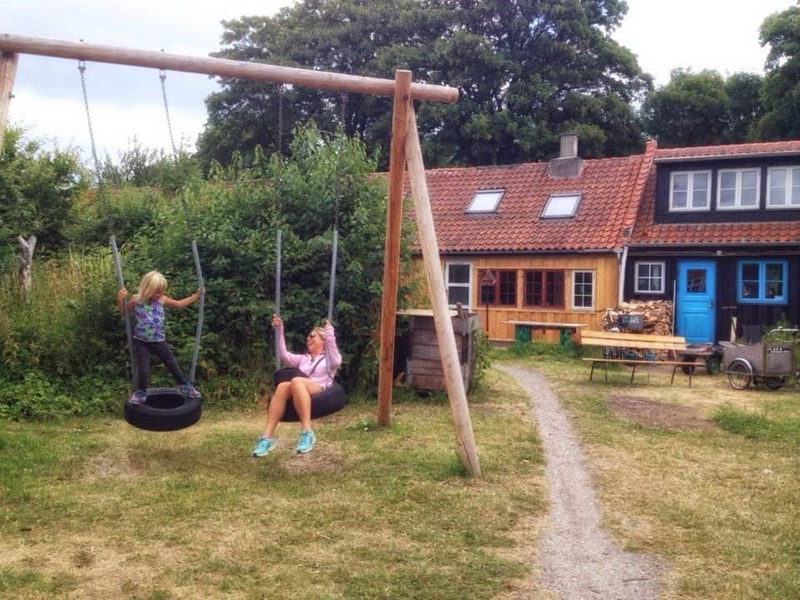 When we think of Copenhagen we think of our memories in Christiania. An independent free state right in the heart of the capital city. We came here for our food, entertainment, art, and culture. While walking the “streets” we had to stop and swing with this sweet Danish girl who let us laugh with her for what seemed like forever. While still working in New York, I had vacation time I had been saving for an international trip. I found a cheap flight to Ecuador and couldn’t say no. 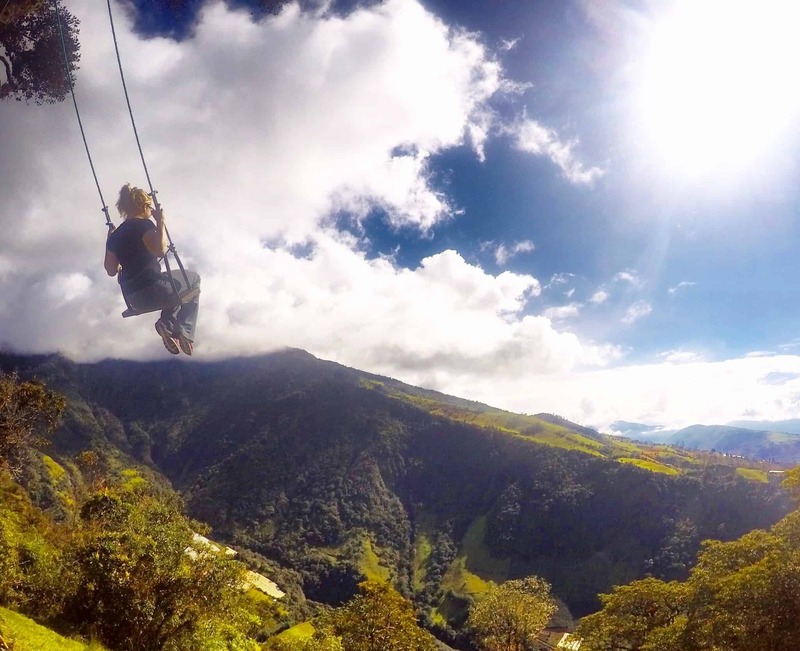 This photo is at the famous “Swing at the end of the World” in Banos, and yes, it’s the best place I have ever swung at. When Cam went back home to finish school I stayed in Europe to continue traveling. 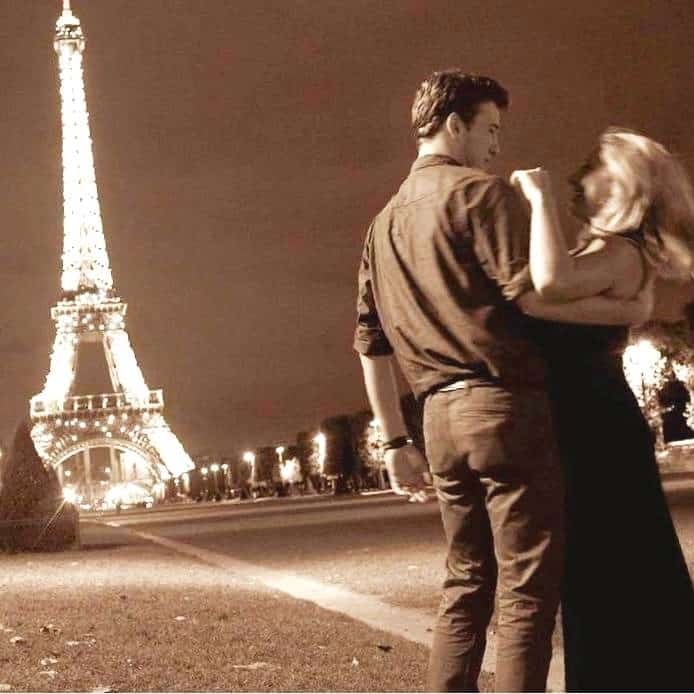 He surprised me in Paris a month later so that we could spend my 24th birthday together. My goal was a photo with the Eiffel tower and I got a perfect one. Between the parties, schnitzel, and beer I had to find some time to be a tourist and explore Berlin. 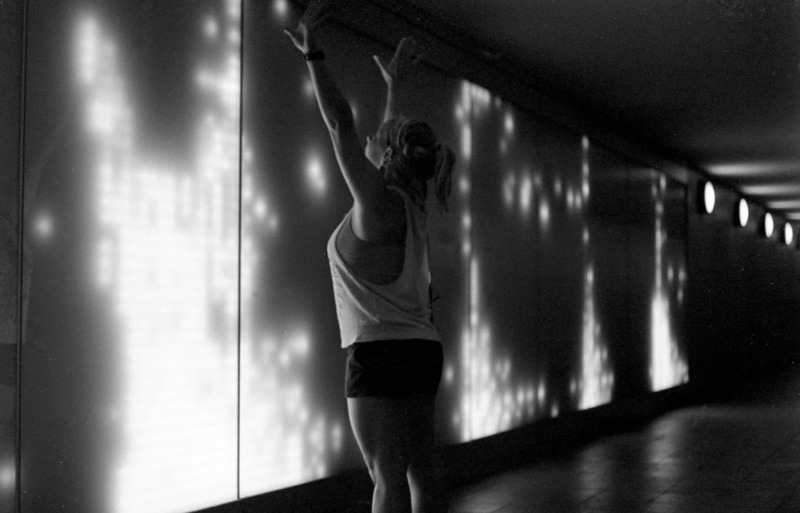 This photo was taken in an underground tunnel in the city. 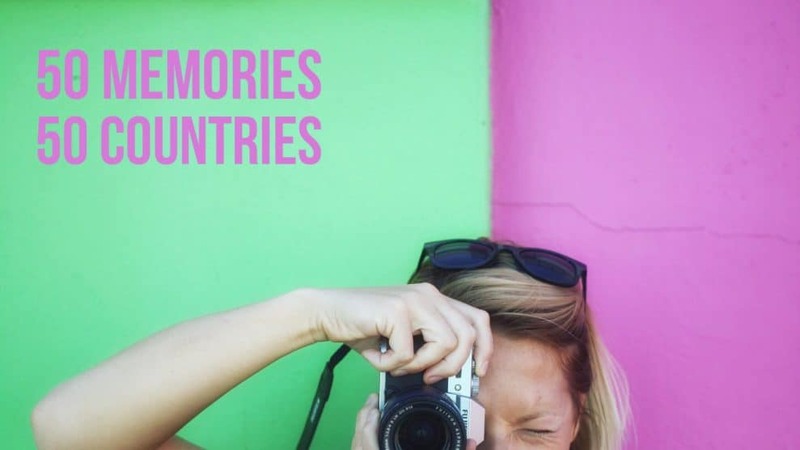 There are way too many memories in Greece to pick a top one while traveling the world. It is one of those countries I want to retire in, so every time I get the chance to travel to Greece I jump at the opportunity. This was taken jumping off our yacht for the week while sailing the Med. 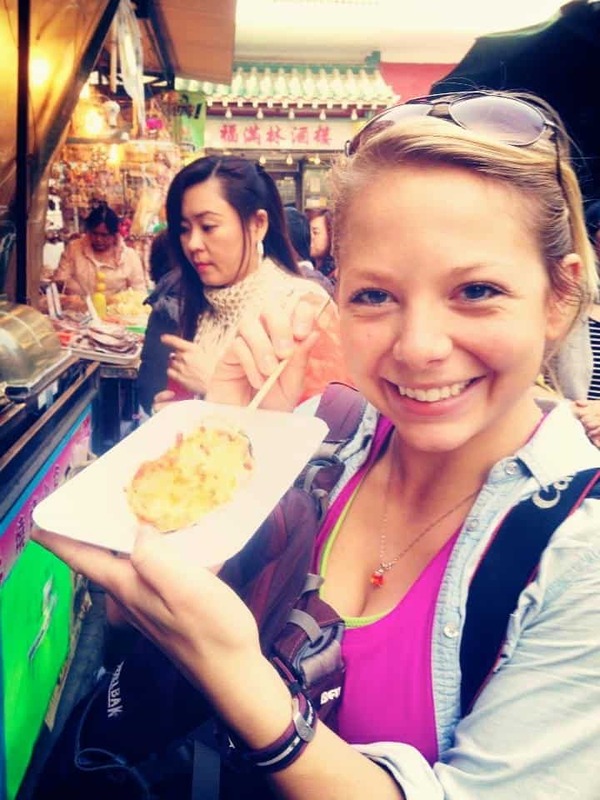 Hong Kong is an Asian foodies paradise. I spent most my days walking the streets eating and drinking everything in sight. Sadly, this is the best photo I have from our time in Budapest. The country was suffering from a massive heat wave when we were there and we spent all daylight hours searching for air con or a source of water! 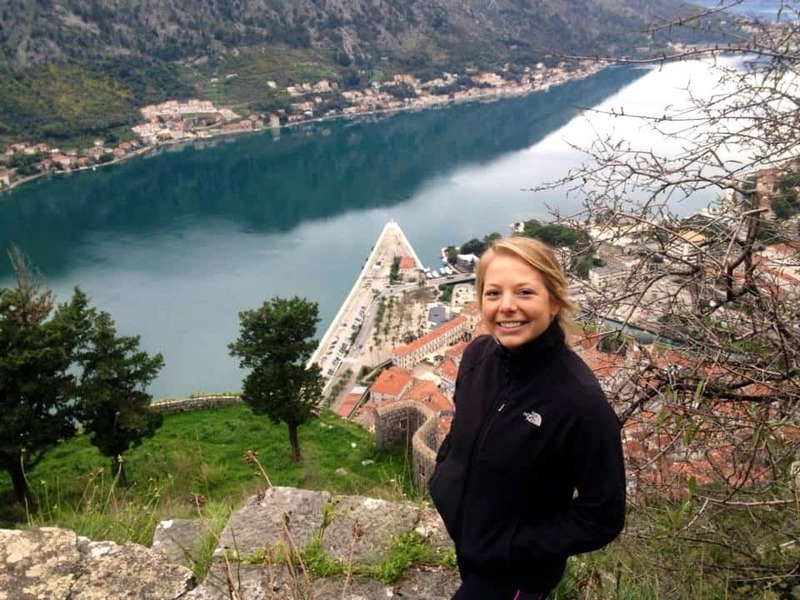 After I graduated college, I bought a one-way ticket into the cheapest country I could find. All I knew was that I wanted to travel the world. The ticket led me to Iceland. 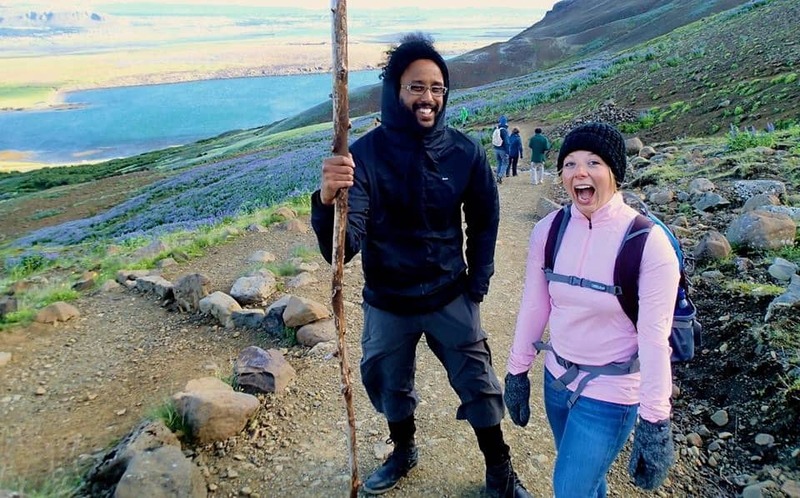 I was on an extreme budget the entire time, which led me to free hiking almost every day! I was just casually searching cheap flights when studying abroad in Australia. I found a flash sale for a $500 roundtrip ticket to Bali and knew I had to go. I called my friend with hopes that she would want to go to. 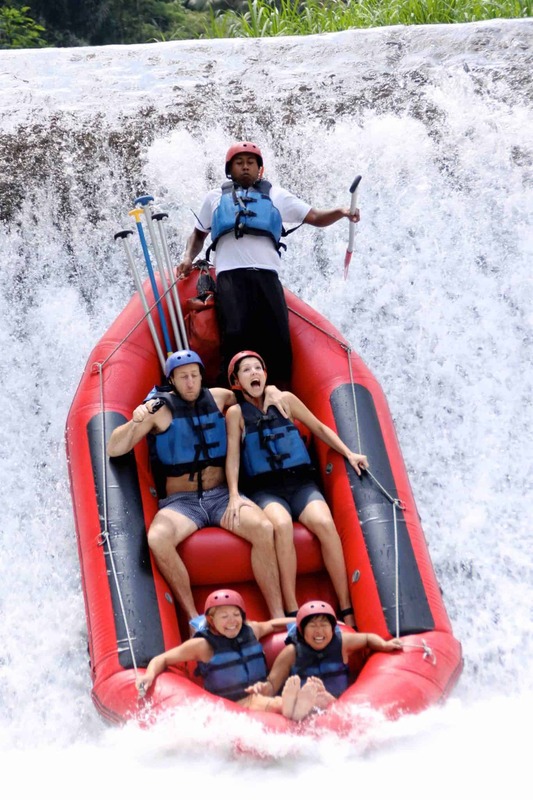 Next thing we knew we were white water rafting the Ayung River in Bali. 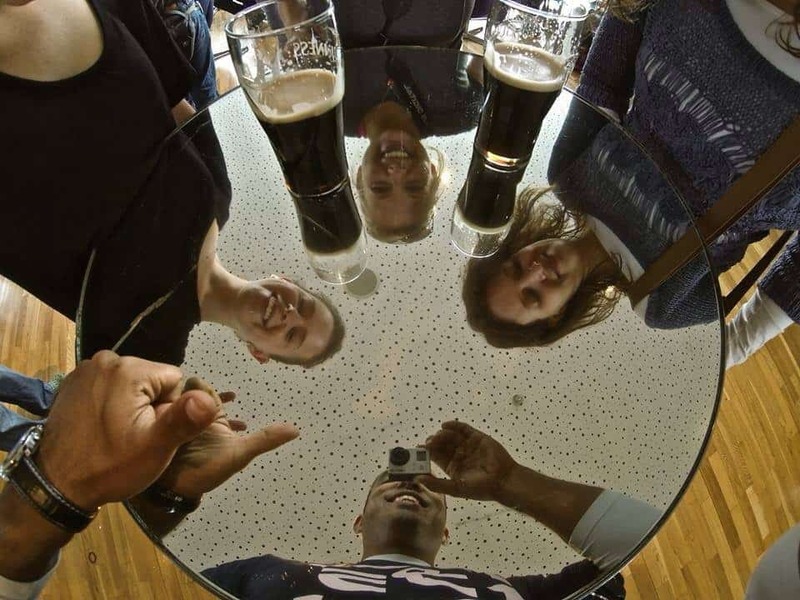 There was no way I was missing out on the Guinness Storehouse while in Ireland. Other things I made sure not to miss out on was the “PS I Love You Bar,” the Ring of Kerry, and an endless amount of Irish Whiskey. I can’t wait to get back to Ireland. 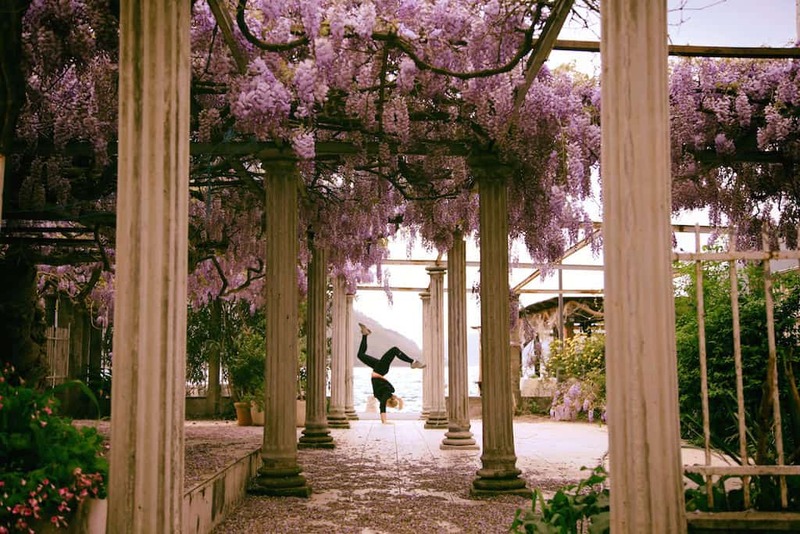 It’s very hard to pick a favorite country in Europe; however, Italy may just take the cake. 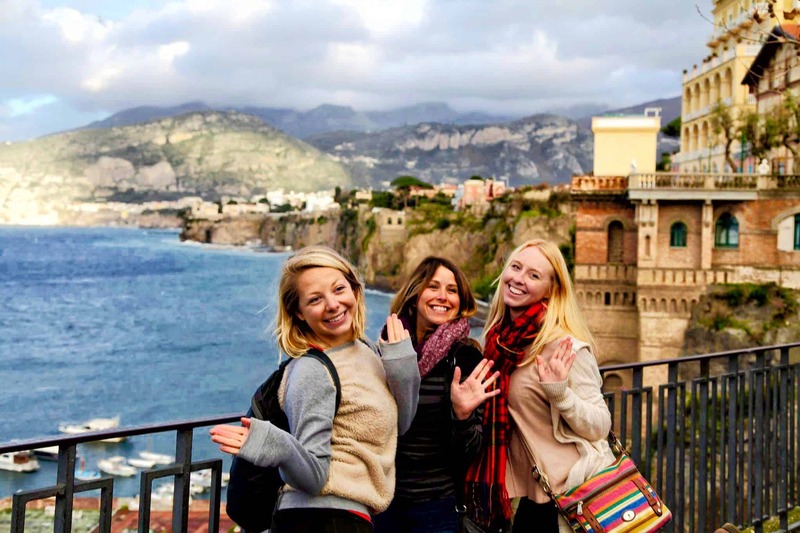 This photo was taken in the gorgeous town of Sorrento…i.e. my future home. Even though I am blonde, I am 50% Italian. It’s all an excuse to learn some of those romantic Italian words before I move. 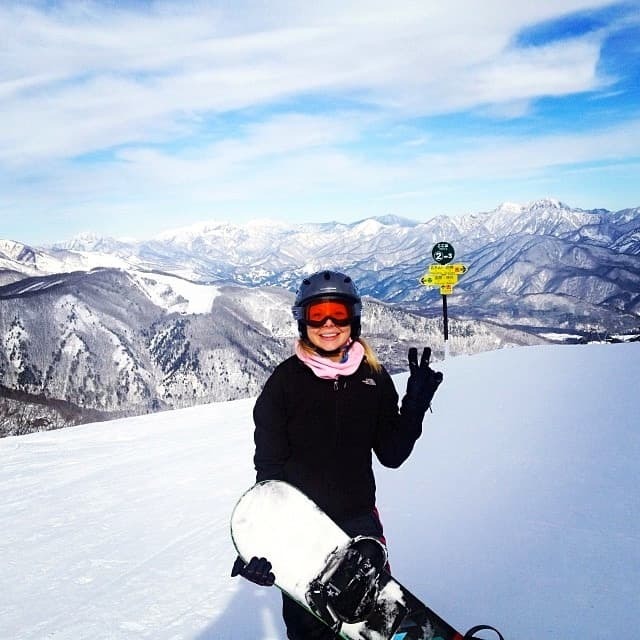 Snowboarding in the Japanese Alps was definitely a highlight of my time in Japan. If there is any country I am dying to go back to, it’s Japan. Not only for the sushi, but also for the islands, the people, and the cat cafes. I think we have to give Latvia another try. We left the country less than impressed because the people seemed so hostile towards us. However, in the center of the old town where this photo was taken, we found beautiful architecture and amazing cafes. 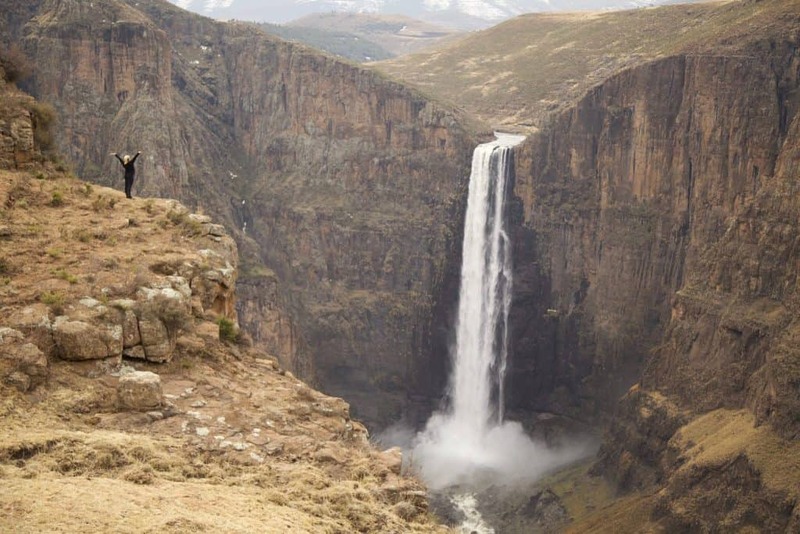 We spent the day driving through the mountains of Lesotho to find Maletsunyane Falls. Standing here not only makes you nervous, but also makes you realize just how small you are. 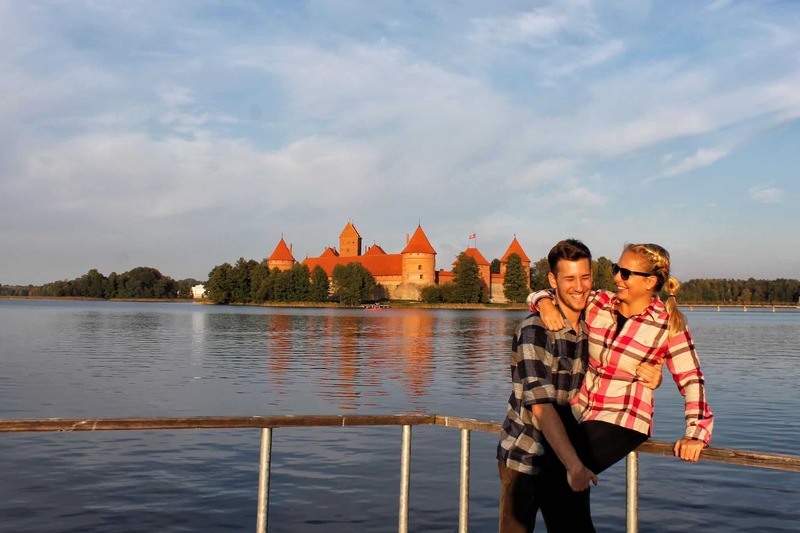 Just outside Vilnius is the beautiful Trakai Island Castle that dates back to the 14th century. I love exploring Europe’s old architecture, makes me realize just how young the United States really is. Lake Ohrid in Macedonia is the most beautiful body of water I have seen in Europe. We had the opportunity to travel here right after we spent a month in Serbia, and I fell in love. 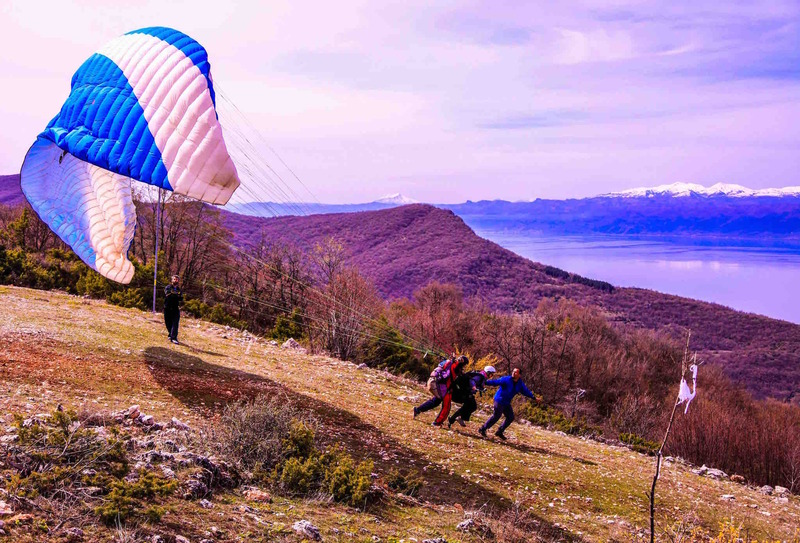 We had the chance to paraglide over the lake as well. This photo was taken right before I faceplanted. While in Kuala Lumpur, I realized that I was in Malaysia for the famous Thaipusam festival. Venturing out to the Batu Caves I climbed the stairs with about a bazillion other people (not for the claustrophobic). All while listening to the mesmerizing chants from the festival participants. When I could finally find my hands again I decided it was time for some henna. And I found the perfect artist. 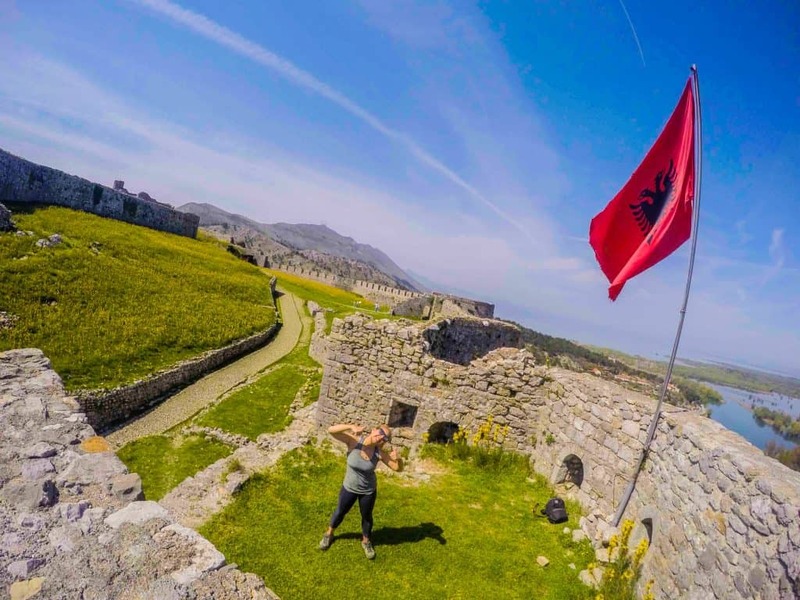 I ended up in Montenegro on my first trip around the world. I raved about it so much to Cam that we went back a few years later. This photo was taken in Perast, just outside of the touristy town of Kotor. The Moroccan attitude towards foreigners throws my head for a loop. The constant harassment and deceitfulness that many Moroccans show towards tourist caused us to cut our trip there almost 5 weeks short. However, we found peace and refuge while staying with a Berber family in the High Atlas Mountains. 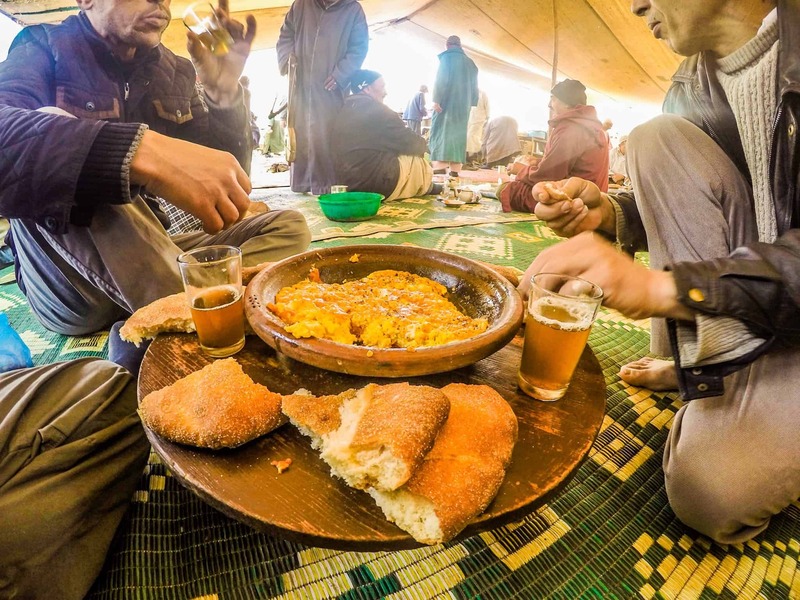 This photo was taken while having a traditional omelet breakfast with mint tea at the Berber market. I’ve already written about how traveling Mozambique was one of my best travel decisions yet. But what fueled that decision was the day we spent swimming with whale sharks. 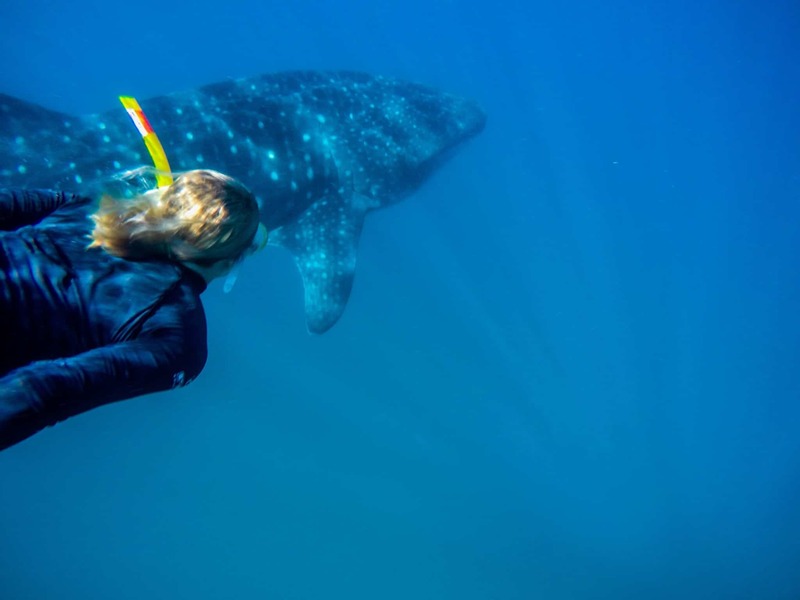 For more than 15 minutes we were able to swim within an arms reach of this giant whale shark! And that was only the first one of the day. We just got here so I’m not sure of my absolute favorite memory yet. 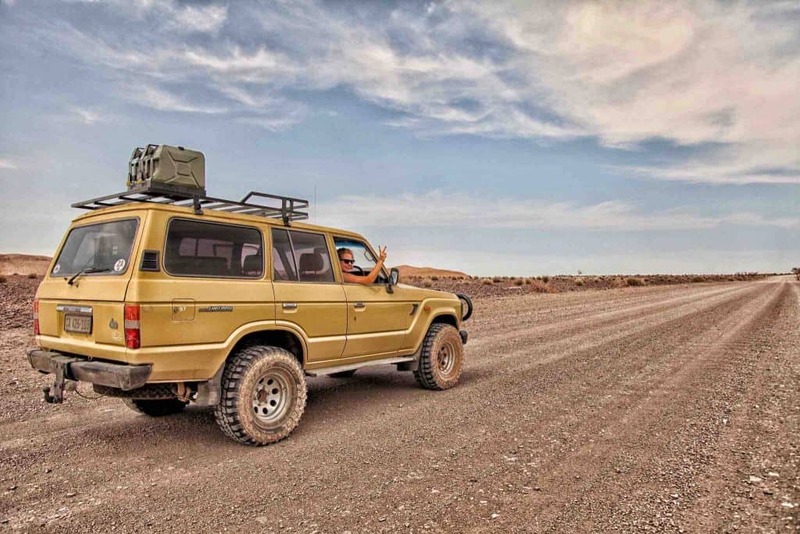 However I imagine it will involve Charlie, our badass 1989 LandCruiser that we just bought to get ourselves through Africa. Namibia is like a dream country, I can’t wait to explore! I spent most of days in Holland wandering through Amsterdam. 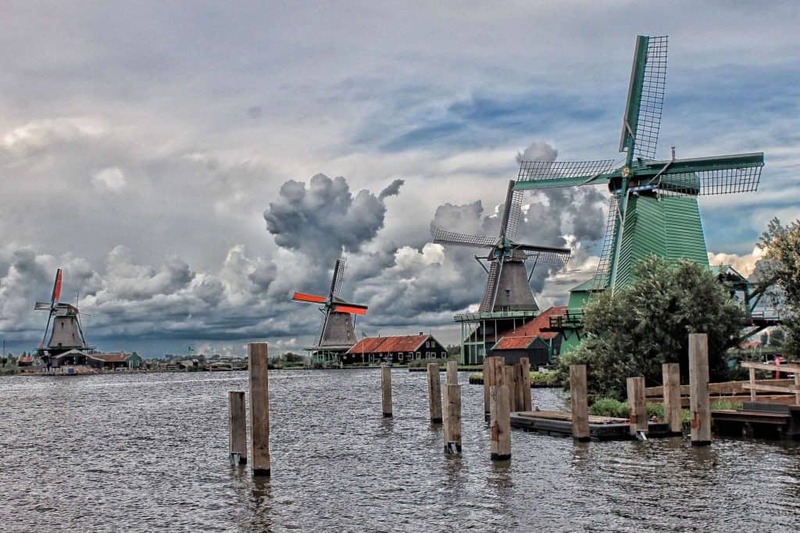 However, one of the most awesome days was spent seeing the famous wind mills and wooden shoes at Zaanse Schans. After some travel plans went haywire I ended up road tripping New Zealand by myself. For two weeks I rented a car and experienced the most beautiful drives. 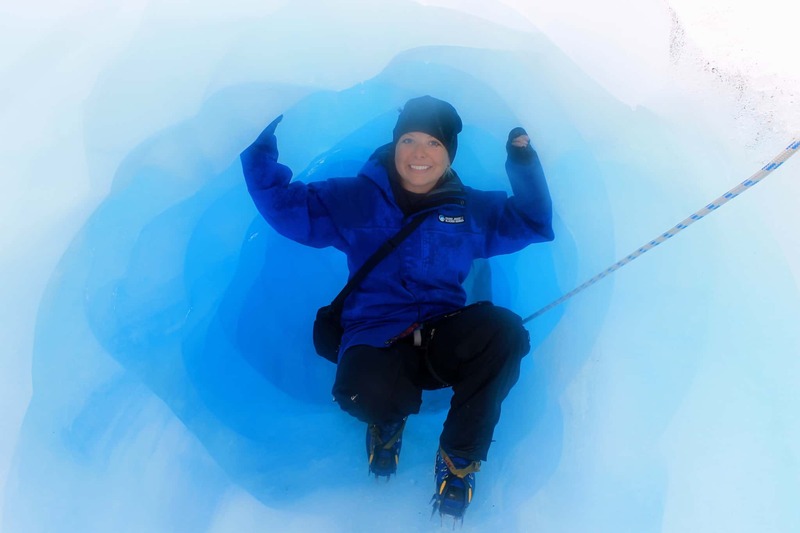 I stopped in Franz Josef to try a hand at ice climbing up a glacier. It was a lot harder than it looks. Remember those people in the photo from Australia up top? 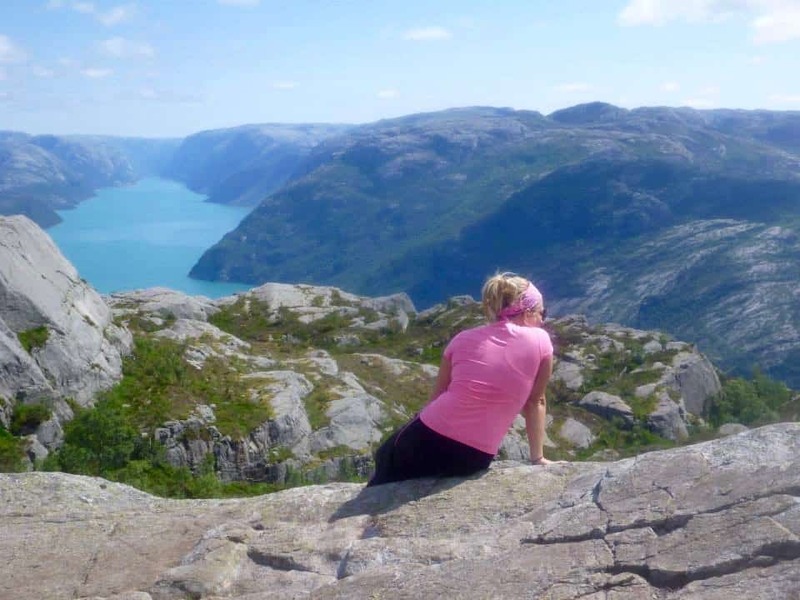 Well I had the chance to meet some of them in Norway after a few years and we spent one of our days hiking the famous Preikestolen. 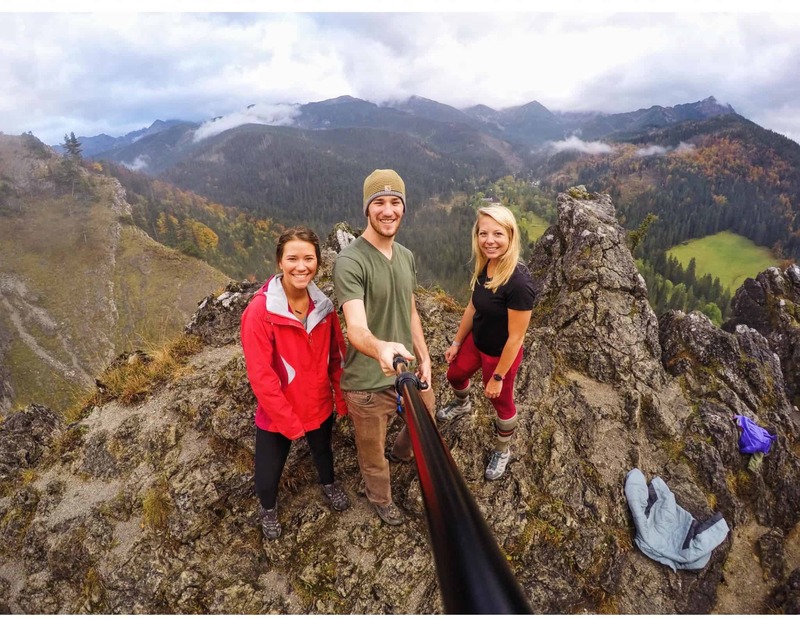 We got a little sick of city life in Warsaw and Krakow so we made way for Zakopane, Poland. Unfortunately, it rained almost the entire time we were there, but we still got the chance to do some hiking during the dry spells. My best photo from Romania was taken inside “Dracula’s Castle” in Bran. Hey, we all know that Dracula didn’t have the best access to light! We decided to settle down for a month and Serbia was the perfect country to do that in. 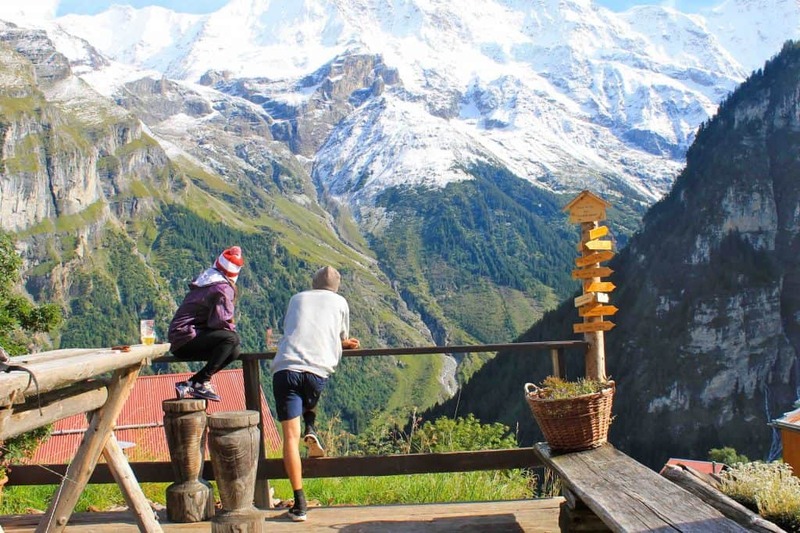 It’s affordable, has great nightlife, and the mountain views aren’t so bad either. 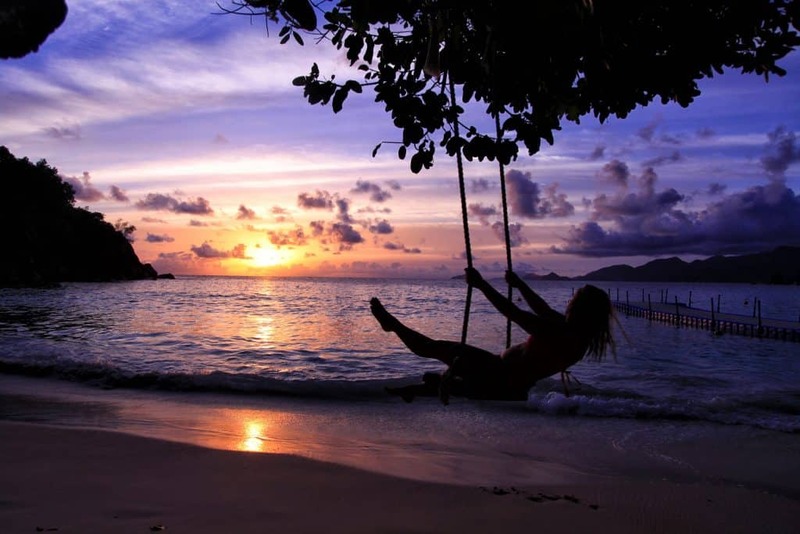 The Seychelles have been on my travel list forever. We ended up there after we found a cheap flight there from Istanbul and let me just say that they live up to all the hype. Sunshine, palm trees, and lush forests rural islands. We spent a few amazing weeks at the Big Berry Lifestyle camp in the Slovenian countryside. 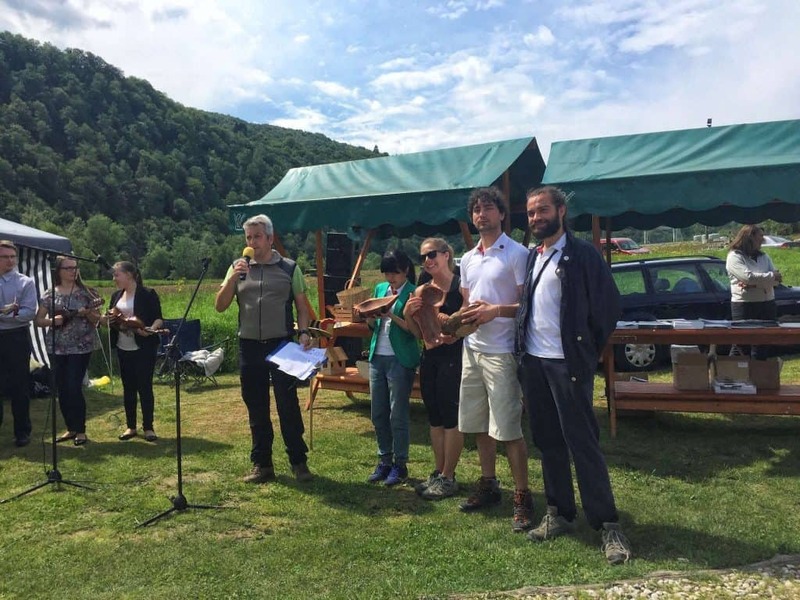 At one of the festivals, we won awards for being “far from home in Slovenia,” as I was from the United States and another friend was from Vietnam. So yes, I won an award for being American. There are almost too many amazing experiences in South Africa to count. 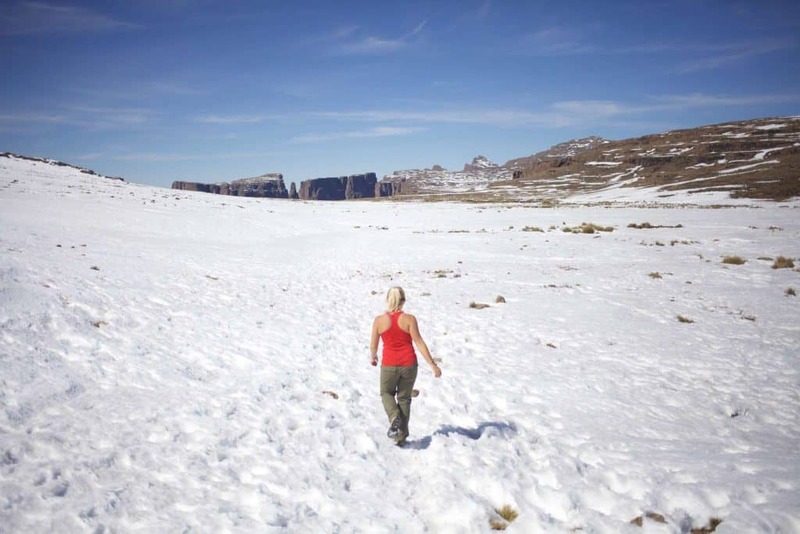 One of my most memorable was the time I thought I was going to die hiking in the Drakensberg. Hiking the Drakensberg Amphitheatre is an all day ordeal and involved free climbing a 65-meter chain ladder. Heart meet attack. 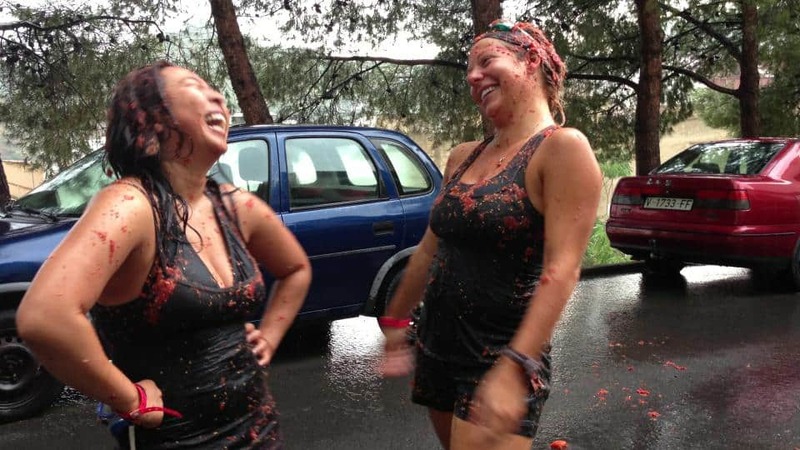 When I realized that we were in Valencia during Spain’s La Tomatina Tomato Festival, I knew we couldn’t miss partaking in the food fight. Would I do it again? No. 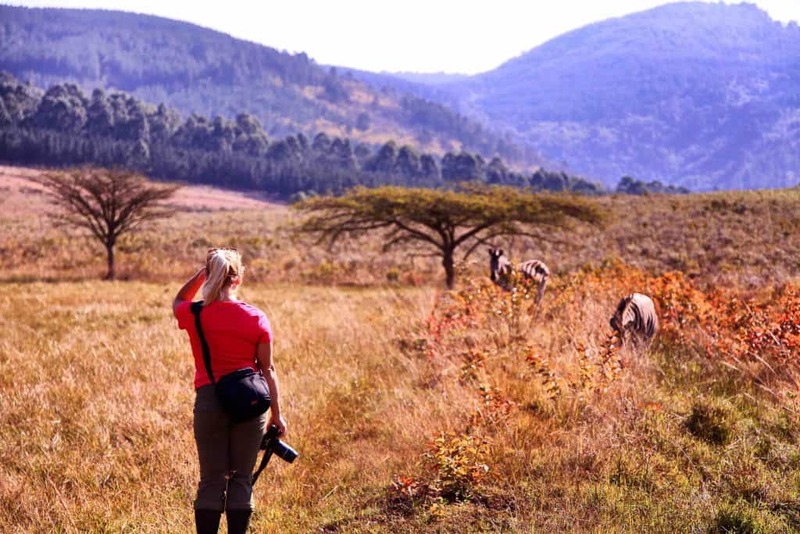 Swaziland isn’t a country that is well worn on the African travel route, so all the more reason for us to go! This is probably the closest I have ever gotten to a zebra before they walked away. Traveling Sweden is wonderful; however, it’s extremely expensive. 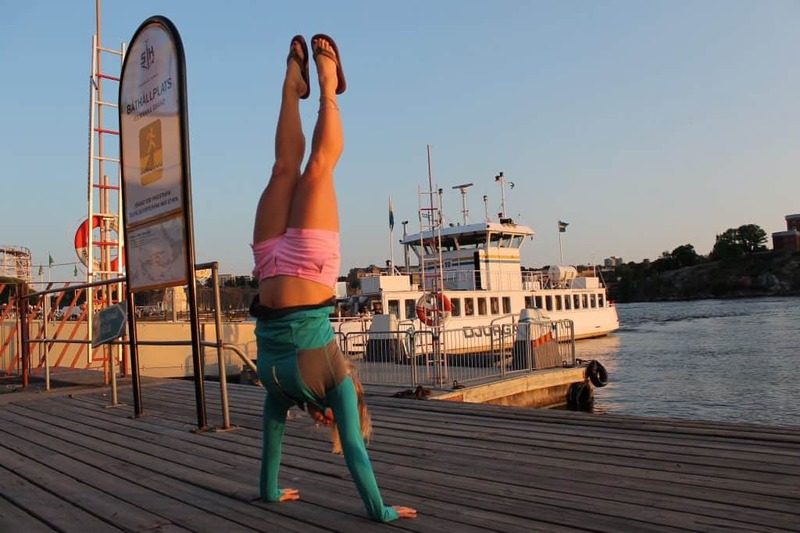 As I’m not a millionaire I could only spend a few days in Stockholm before completely blowing my budget. The city is made up of a bunch of 14 islands, this is playing around on one of them. I didn’t think I would be able to afford a stop in Interlaken but decided to stop anyway. I’m so glad I got to see the beautiful alps up close! We have so many photos from Thailand but I think this one is my favorite. 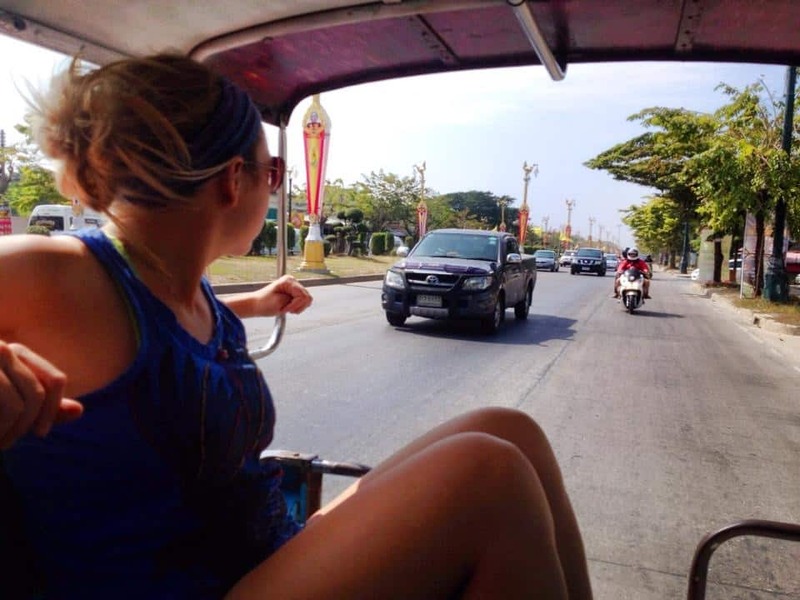 The main way to get around is by a tuk-tuk, and they are everywhere. We laughed every time we got in one cause we found them so charming. 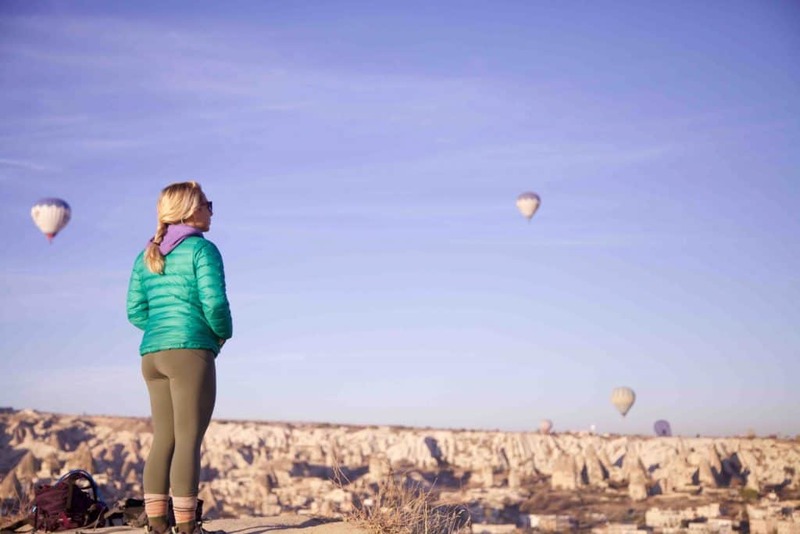 It may have meant a 5:30am wake up call, but seeing the hot air balloons rise over beautiful Cappadocia is definitely one of those things you have to see in your lifetime. 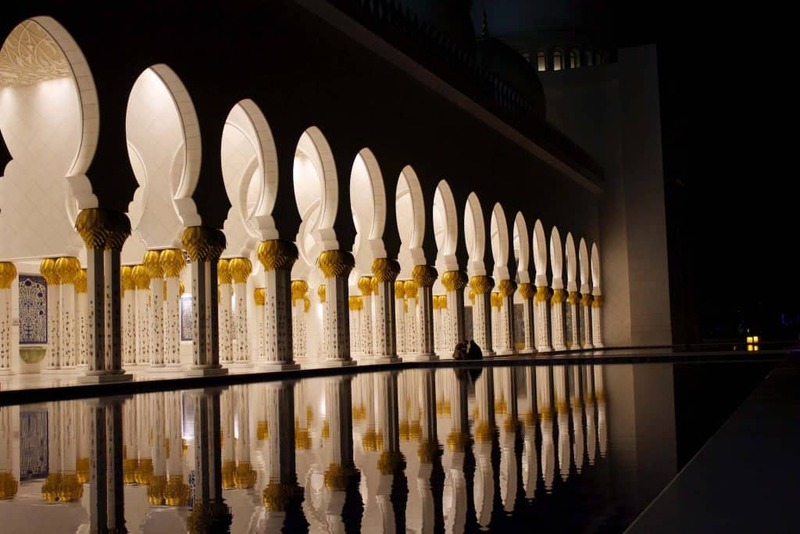 Missing the Sheikh Zayed Mosque in Abu Dhabi was not an option. I decided to travel the country alone on a backpackers budget and the high costs made it a very hard place to stay on budget. I would like to go back one day when I have more money to spend. Instead of listing London on this list, I need to give a shout out to Belfast, Northern Ireland. 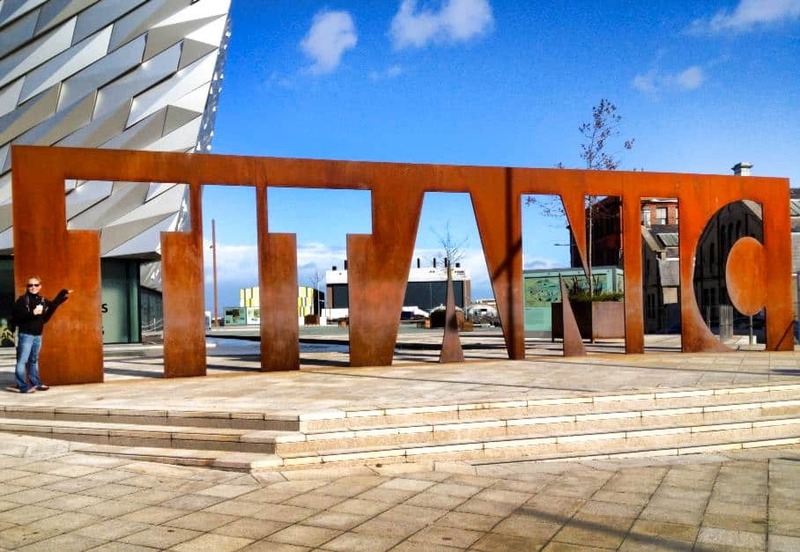 Even though the city suffered from “The Troubles” not too long ago, it is wonderful to travel through. Oh yea, and the Titanic was built there which was my main reason for visiting. So this picture in front of the Titanic Museum will always remain as one of my favorites. 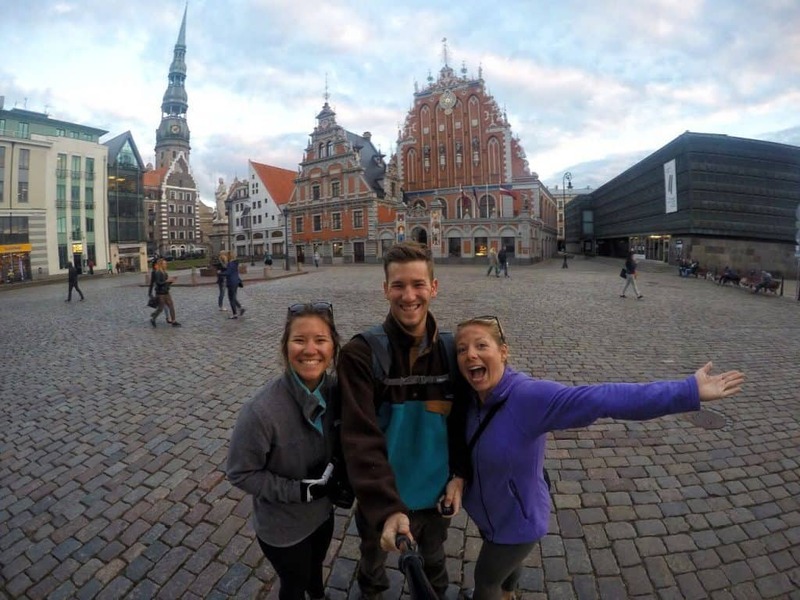 I’d like to thank a countless amount of strangers, selfie sticks, the self-timer option, and of course Cameron for always being there to take my photo in all these wonderful countries!